Further south from the metropolitan area, but still within an hour or so from the CBD, there are interesting dive sites along the southern metropolitan coast. 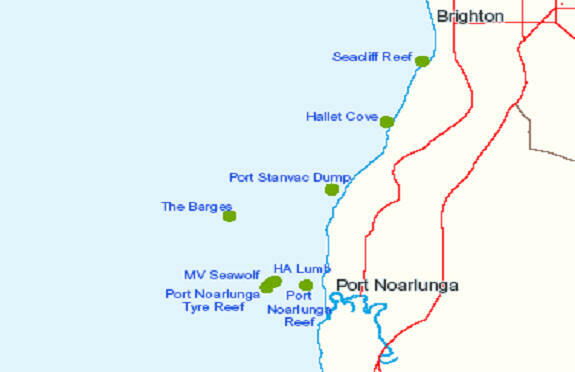 Most of these are boat dives, however Noarlunga Jetty is accessible on foot from the shore and has good local facilities for parking, kitting up and washing out gear. The area is a marine reserve so plenty of fish are always about and it is an excellent dive site for new divers and snorkellers alike due to the easy access afforded by the jetty.